I first met Tony when I was 10 years old when one of my teammates mentioned this hitting coach that she had previously worked with, she said he was pretty good, so I thought why not give it a try for a lesson or two – his name was Tony Rico (at that point, Tony’s primary focus was on baseball, but that would soon change). During my weekly lessons, Tony would, of course, work with me on various hitting skills, but he would also teach me about the game in general (learning from Tony was like listening to a color commentator for a baseball game – Tony provided a unique insight into the game, all of which helped mold me into the player I became). 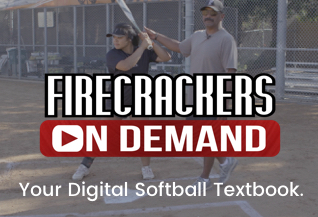 Because I enjoyed my lessons with Tony so much, I highly recommended him to all of my teammates and before I knew it, Tony was an assistant coach with the Firecrackers. -Know What You Want and Go After It – If your recruiting experience is anything like mine, you’ll be fortunate enough to be recruited by numerous schools across the country, each with something different to offer. It can certainly be overwhelming at times, so it helps tremendously if you’ve already thought about the type of school you want to go to (big or small), geography (including close to home or far from home), maybe even a particular conference that you want to play for. If you know what you want, then focus on those schools during the recruiting process, don’t waste your time and theirs by dragging things along with schools that you’re not interested in (see lesson 2 below). At 17 you may not have all of the answers, that’s partly what recruiting trips are for, so at the very least, try to think of things you definitely don’t want in a school in order to narrow the list and make your choice a little easier. 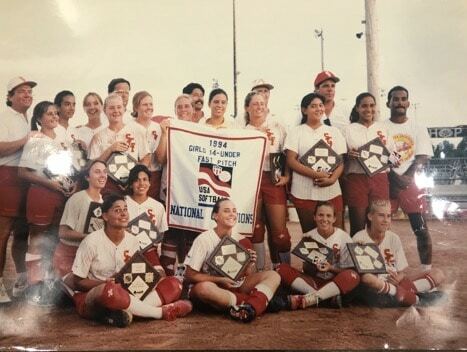 For me, academics were the most important because I knew that I wasn’t going to make a career out of playing softball, instead softball was going to be my stepping stone to a career. Softball was going to give me the opportunity to get into a great school, graduate with no debt and set me up for life with my diploma. I took recruiting trips to Michigan, Northwestern, Notre Dame and Stanford, and eventually signed with Stanford. At the time, Stanford was an up and coming program, so I realized that I may be sacrificing an opportunity to play for a national championship (although I was going to do everything in my power to help change that), but I knew that having a degree from Stanford would open up a lot of doors when it came time to choose a career. Don’t get me wrong, I’m an extremely competitive person and never like losing, but in my opinion, a diploma from Stanford was worth more to me than a national championship (we actually played in the Women’s College World Series my junior year and finished third, and guess what, I couldn’t even tell you who won that year). -Remember It’s Business, It’s Not Personal – I have always been a very agreeable person, never wanting to make waves or disappoint anyone, so during my correspondence or conversations with certain college coaches, I had a hard time saying “no” if I wasn’t interested in their school. Until one day when one of my coaches reminded me that this is a business, it’s not personal. Coaches may be disappointed for a short time after experiencing rejection from a prospect, but they’ll get over it, experiencing rejection is part of their job. Being honest from the beginning is good for both you and the coach because it means that neither of you are wasting your time/efforts doing the song and dance for a school that you know that you’ll never choose. In the end, a coach will (or at least should) respect you for making the decision and allowing them the opportunity to focus their efforts on prospects that they do have a chance of landing. If a coach ever makes you feel guilty for not choosing their school, then you probably made a good choice. -Use It or Lose It – By this I mean be proud of your accomplishment of playing collegiate softball and use it to your advantage. I can’t tell you how many times my having played softball at Stanford came up in job interviews – there aren’t a lot of people that can include something like this on a resume and employers eat it up. (Don’t overdo it on your resume though, make sure to include other accomplishments so you look like a well-rounded candidate). If you take a step back and think about it, playing sports at such a high level is a great education in and of itself – where else do you learn teamwork, dedication, perseverance, time management, etc. – and a perfect foundation to build a successful career.